You are browsing the Blog for Fashion Trends - Scoop: The Appaman Blog. Sick of winter already? Meet Appaman’s Resort 2018 collection. This stunning capsule collection brings all-American vacation vibes to summer-in-the-city style. Tropical patterns and street-mural inspired graphics showcase a palette of rich, whimsical rainbow tones and celebrates the spirit of a cross-country adventure. 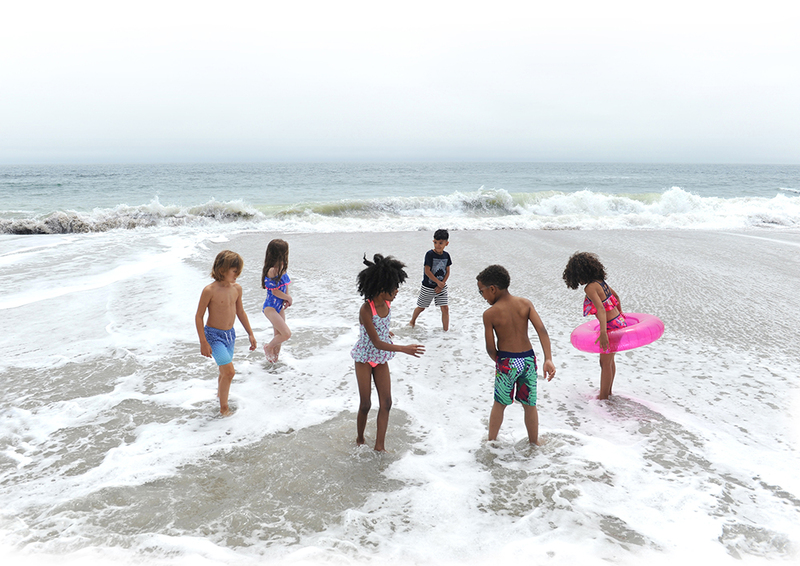 Perfect for an escape to warmer temperatures, our Boys collection features swim trunks in bold tropical prints, and hard-wearing rash guards that provide protection from the sun, surf and sand. Our best-selling cotton Graphic Tee is back in three limited-edition prints, as are our classic camp shorts (check out the super cool Shorts in Pineapple!). Our exclusive Girls Collection features four bold, versatile swim suits (think Pineapples and Sea Unicorns), a rainbow Surf Short, and of course a super cute tee. One of our favorites is our new Thalia Dress, a soft, versatile dress perfect for dressing up or throwing on over swimwear at the beach. While it may be chilly here in New York, our new Resort 2018 collection has us dreaming of sandy beaches, blue skies and clear water. Shop Appman’s Resort 2018 Collection here. Shorts season is coming to a close. As much as we love shorts and all they represent (ice cream! cannonballs! catching fireflies! ), we also look forward to the onset of long pants season and all of the fall festivities (apple picking! leaf peeping! jack-o-lanterns!). But one of the biggest differences between shorts and pants, besides the obvious weather appropriateness of each style, is the fact that you actually have to pay attention to length when it comes to wearing pants. Shorts can fall right above the knee, at the knee or below it and you’re still ok. But with pants, if they’re too short, you get major style points deducted from your look (floods, anyone?). 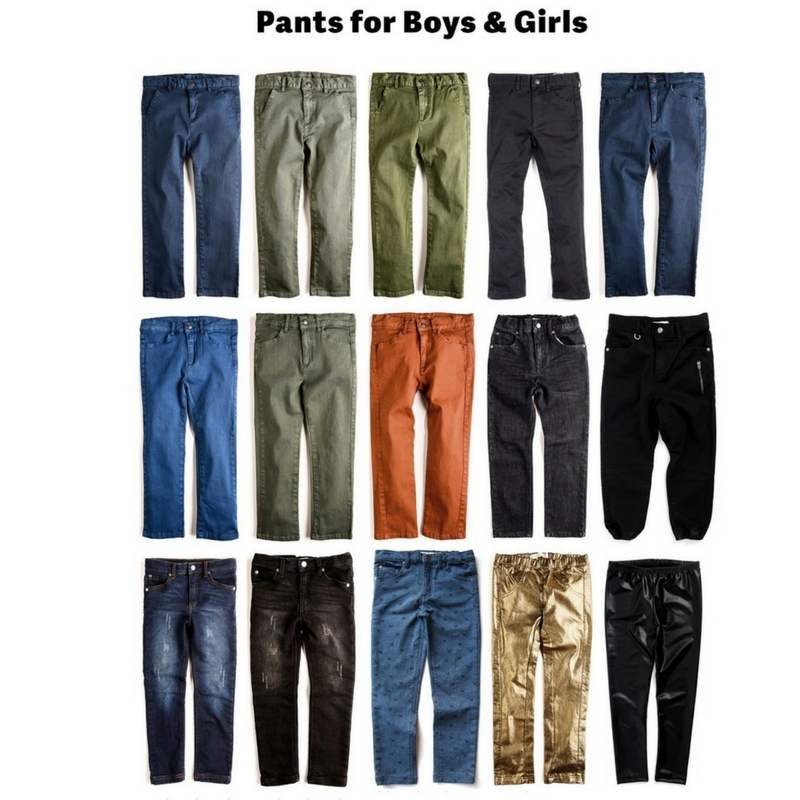 Sending them back to school in pants that are too short are a style sin, mom! The perfect pant length is about 1/4-1/2 inch above the floor, depending on the type of shoes you’re wearing. But one thing’s for sure, unless you’re sporting summertime capris, ankle length is so not cool. Does your little dude prefer slouchy sweats to skinny jeans? Or maybe he’s a classic flat front chino kind of guy. Is she a jeggings kind of girl or a denim diva? Whatever their style, we’ve got them covered from waist to toe this fall. Our Bushwick Pants are classic chinos with a fashionable tapered fit and a flat front. We made them in some cool colors this fall, including Dress Blues and Gunmetal. Also on tap are our Skinny Twill Pants, which are a street style alternative to jeans. With a hint of stretch and cool slim cut leg, these pants will take him from the hallways to the holidays in style. Bringing some rocker ‘tude to the party is our Hiro Pant, a slouchy fitting pant with some serious punky cool and our Parker Sweats, black and white sweatpants with three zippers and and an edgy style. For all the little ladies in the house, you can’t go wrong with a pair of cute leggings for fall. Our Shiny Legging is both glam and comfy rolled up into one easy to wear pair of leggings. We love how the shiny coating makes even a simple t-shirt look rocker chic. The Denim Knit Jegging is a classic vintage-inspired pair of slim fitting jeans with a cool distressed look and a comfy fit she won’t want to take off. Our Finley Knit Denim pant is a cool printed take on everyday jeans, with a funky pattern and soft and cozy knit material. Think of our Pipe Pant in a glitzy metallic gold as a new neutral. The flashy (in a good way) pants have a add a splash of glam to grays, whites and blacks. Who wears the coolest pants in your family? Shop more of our fall kids clothing by checking out our fall 2016 lookbook. While getting the kids out the door on time in the morning may be your top priority when it comes to new year’s resolutions for the family, we love the idea of setting some style resolutions, too. 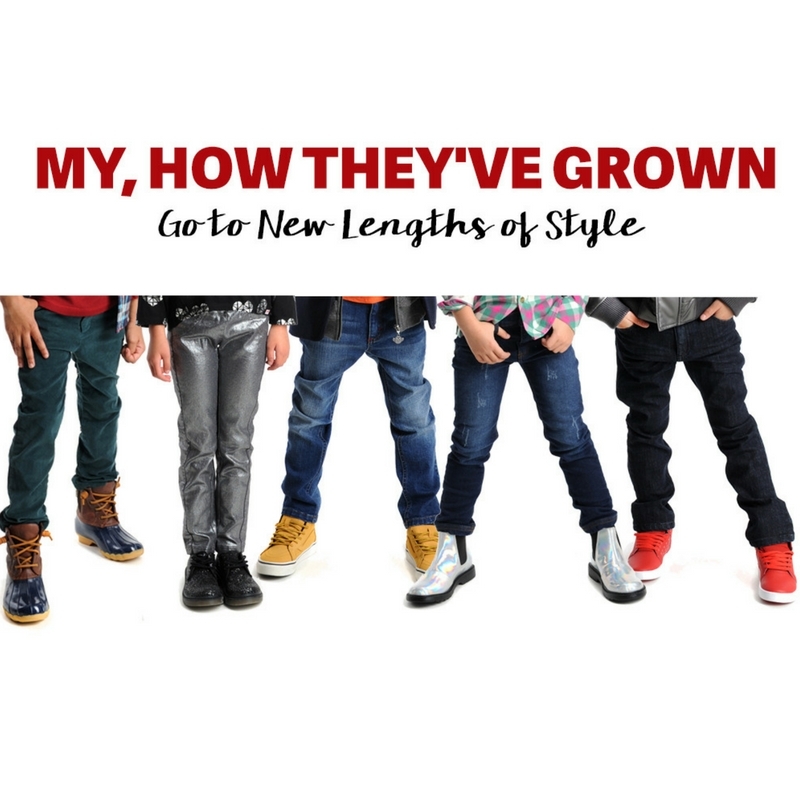 We know how much they love wearing the same jeans and t-shirt every single day, but try breaking your kids out of their fashion rut and you might be surprised by the results. 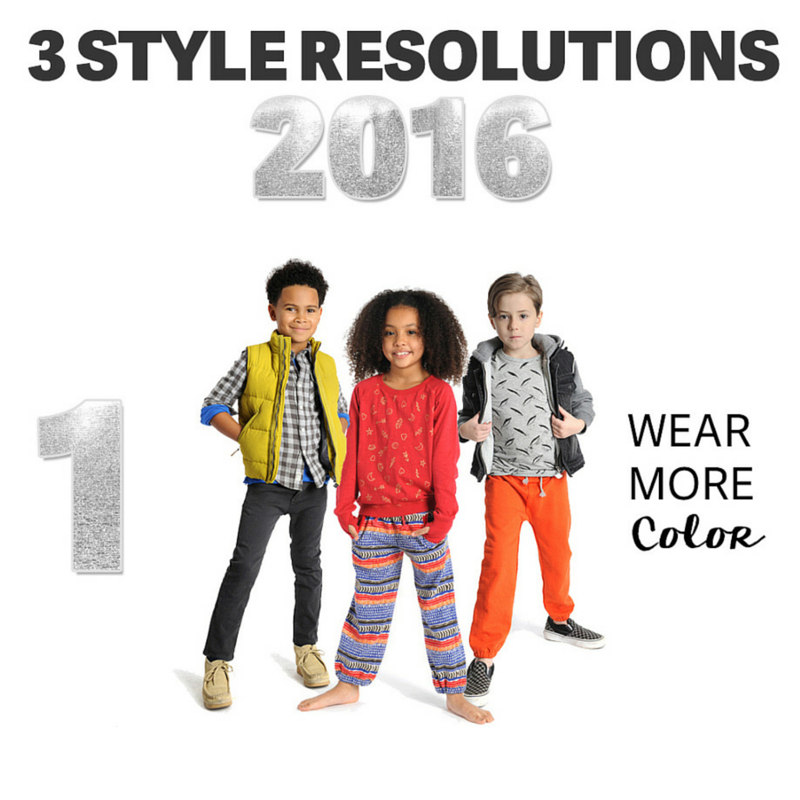 For 2016, resolve to add more color to their wardrobe. And no, grey doesn’t count. Not only do bright pops of color look awesome with more neutral shades, but there’s evidence pointing to the benefit colors have on our moods. Orange can inspire social behavior and can put others at ease. The color yellow is thought to make people feel happier and promote motivation and concentration. The color blue can have a calming effect (great for threenagers!). Green is associated with health and well-being and the color red is thought to increase athletic ability. East Side Vest in Warm Olive: A pop of yellow looks so cool layered over a flannel shirt or a hoodie. 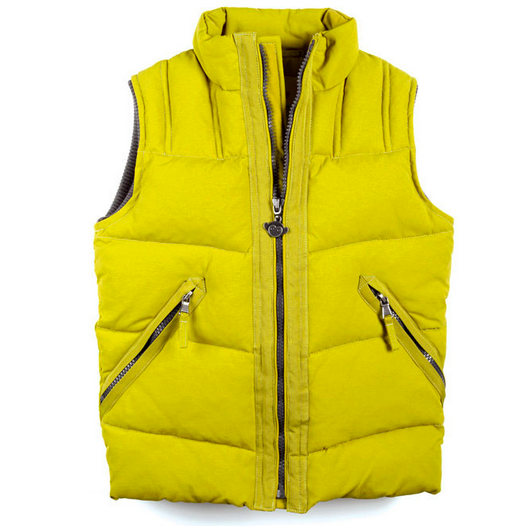 We love the all seasons aspect of our vests. Perfect for spring and fall and if you’re lucky enough to live somewhere with warmer winters, you’ll be good to go through the colder months, too. 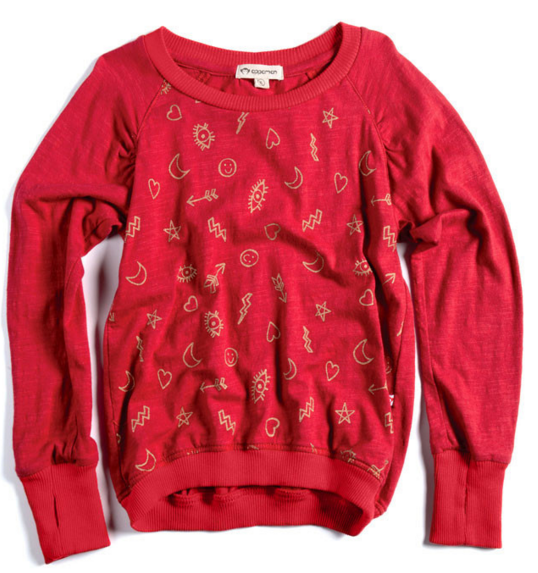 Thumbhole Raglan Tee in Racing Red: If she doesn’t already have a thumbhole shirt in her wardrobe, you’re missing out on a cool kids trend that’s also super functional for the winter. No more bunched up sleeves when putting on her coat, plus the sleeves also cover her hands to keep them warm. 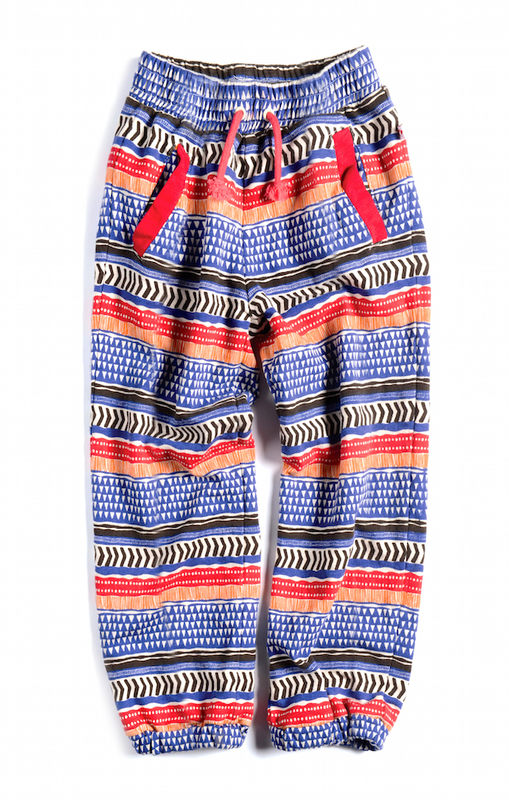 Gym Sweats for Boys in Clementine: A good pair of sweatpants is an essential in his wardrobe. 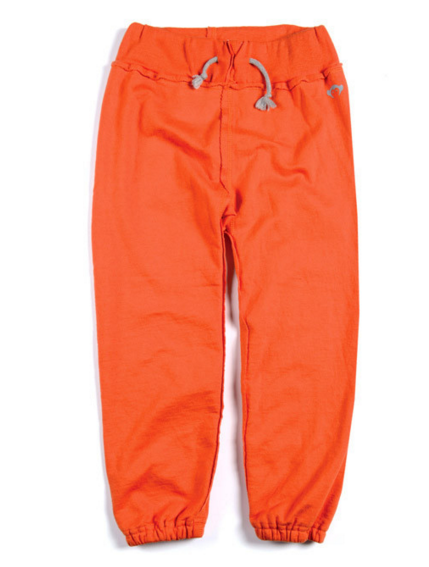 Why not make these old school style gym sweats in a gorgeous shade of orange part of his weekly rotation? 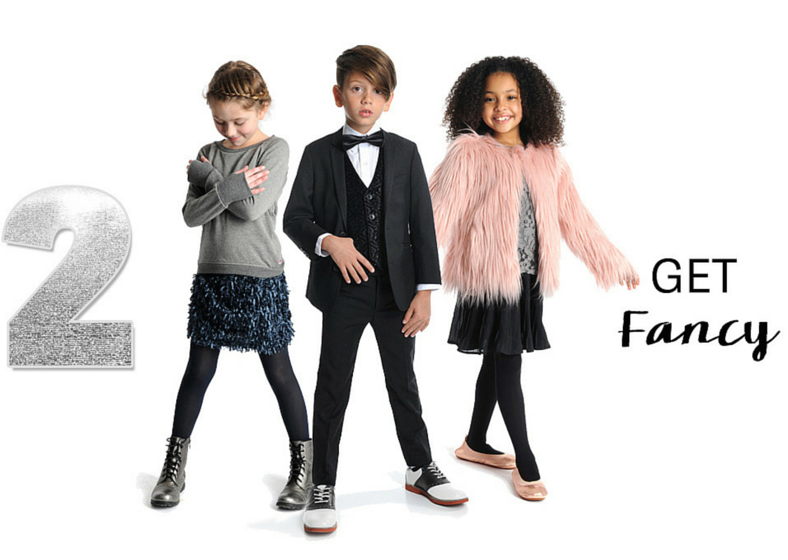 There’s nothing quite like seeing a kid all snazzed up in their Sunday best and we don’t see any reason to wait until a fancy occasion either. We love a boy who wears a bowtie with a shirt and jeans or a girl who sports a casual tee or sweatshirt with a frilly skirt and combat boots. 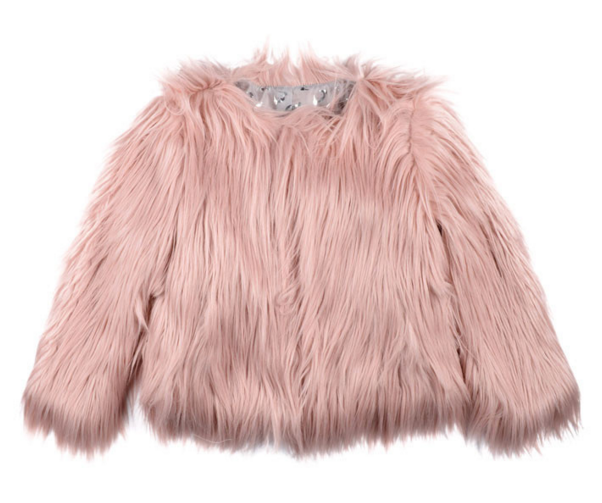 And our fancy-ish faux fur coat (a North West style favorite) happens to look good with everything! Girls Confetti Skirt: This cool girls skirt will be a hit no matter what style she chooses to go with up top. A funky logo tee or a thumbhole shirt both look super cute when paired with our ultra popular Confetti Skirt in Ink Blue. For bonus points, we say go with combat boots or high-tops. 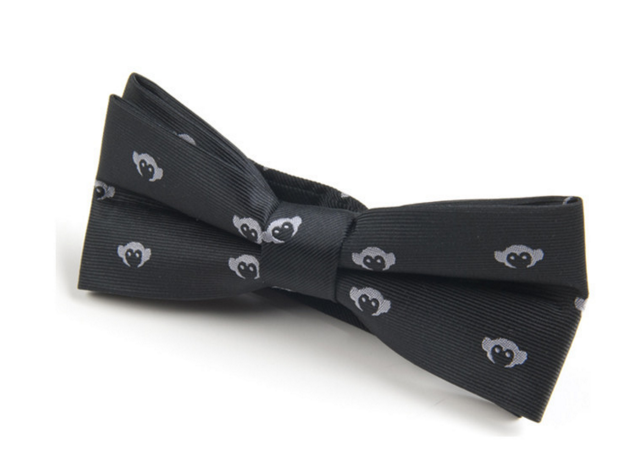 Boys Bow Tie: Black tie events need not be the only time for him to tie one on–especially when the bowtie has an easy peasy adjustable hook and eye closure. From school picture day to family dinners on the town, a bow tie is an exceptionally stylish look for little boys. Faux Fur Coat in Cameo Pink: This coat has become something of a fashion icon thanks to a certain member of the Kardashian/West clan sporting it around town. We can all take a page from North West’s book and make a resolution to make every day a fashion moment–regardless of where we’re going. The most important fashion rule when it comes to kids style? There are no rules! 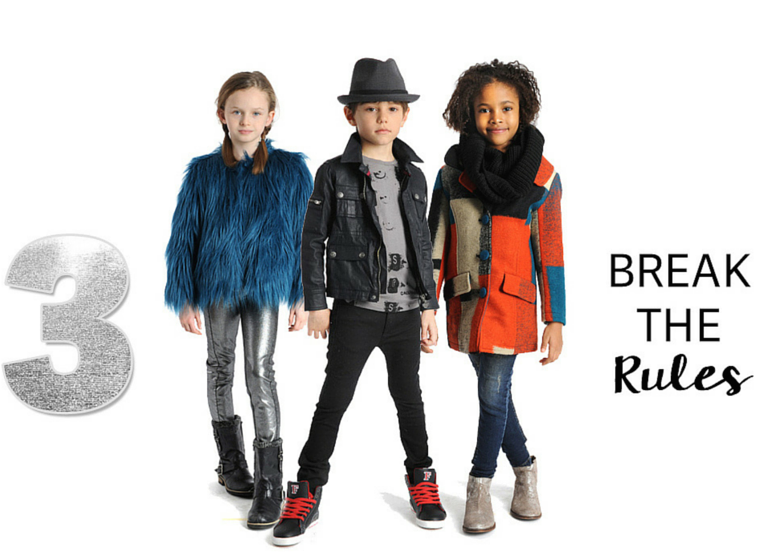 Kids are allowed–and encouraged–to mix prints, colors and patterns with abandon. We love the effortlessly cool style that kids are born with. Let them have fun with their wardrobes. When you give them the right building blocks, like a classic pair of kids jeans, a cool vintage-inspired jacket for boys or fun stretchy pants for girls, every outfit they choose will inevitably look cool–and that’s something they can carry with them throughout the new year! Honey I shrunk the blazer! 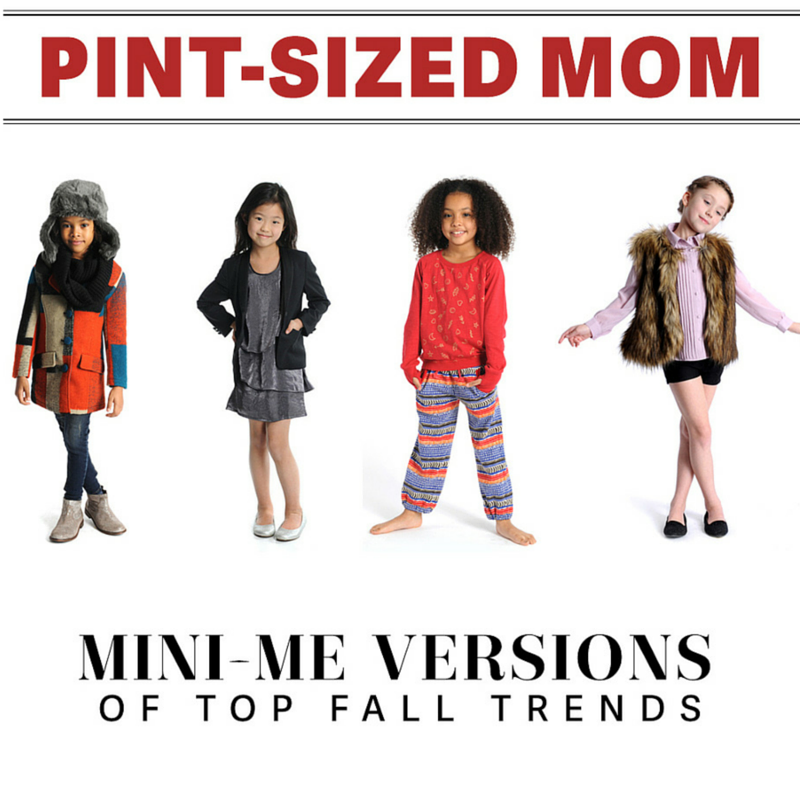 Fall’s top fashion trends are not just for grown-ups. The best kids fashion trends take a cue from what mom’s got in her closet. From glamorous faux fur and chic motorcycle jackets to skinny jeans and chambray shirts, there are some major fashion moments happening on the playgrounds this season. Here, a look at the best mini-me girls fashion trends stolen straight from mom. We are loving a crisp black blazer worn over a t-shirt and jeans or paired with a pretty dress. 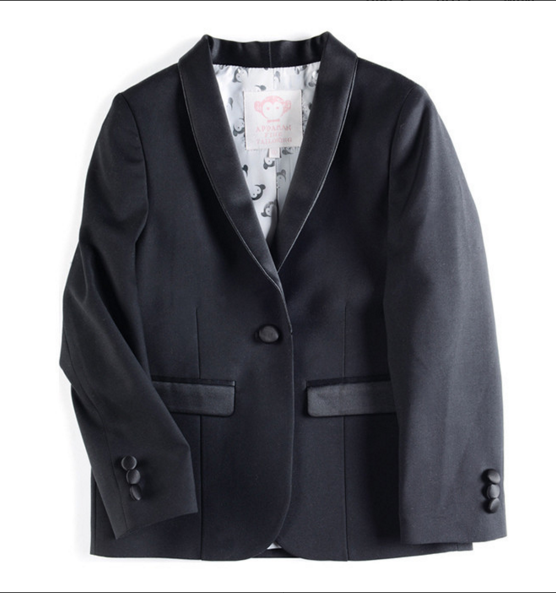 There’s something so classic and chic about a tuxedo blazer for girls. 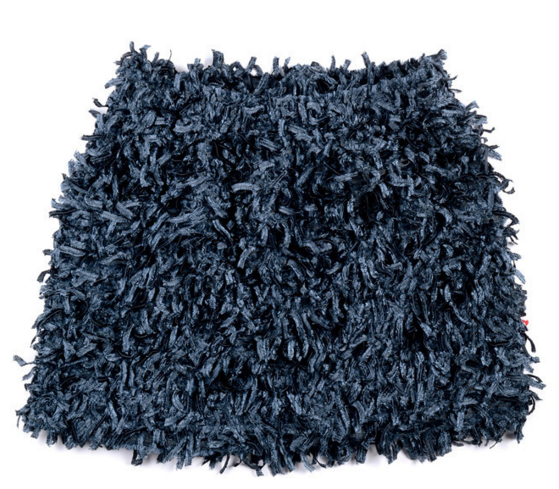 This is one borrowed from the boys look that should be in every little girl–and grown-up–wardrobe. 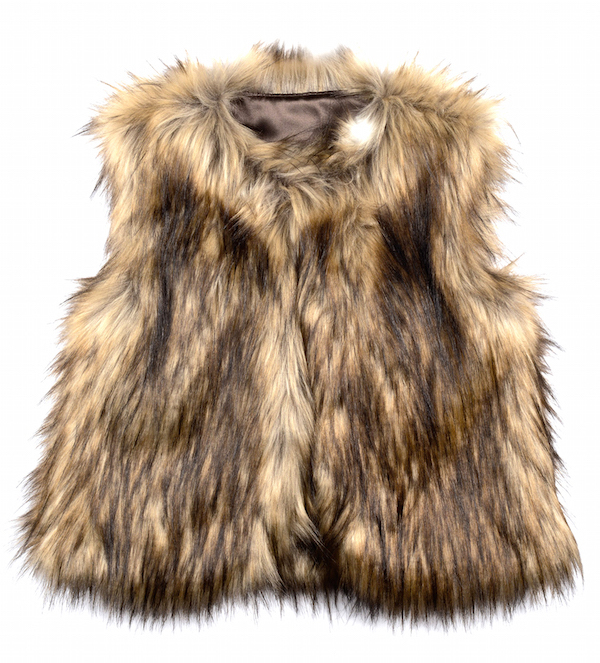 Everyday just got a whole lot more glamorous, thanks to this brown faux fur vest. It looks effortlessly cool when casually thrown over a long-sleeve tee and jeans and it’s a no-brainer for fancier nights out. 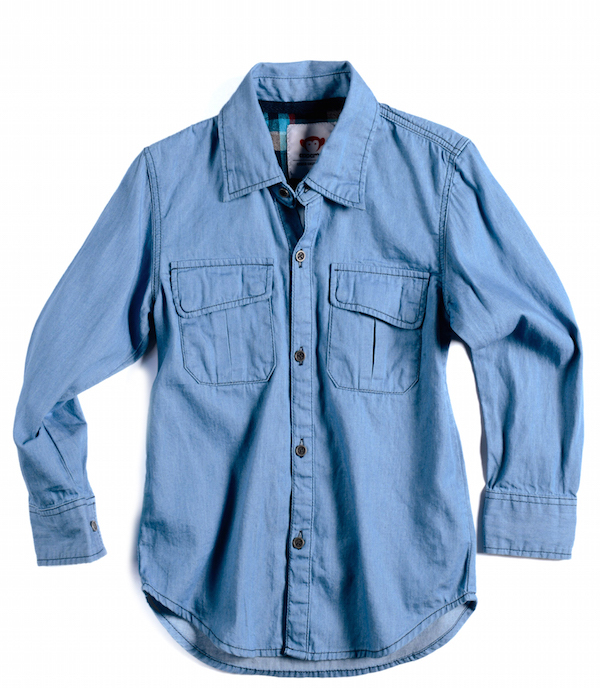 If there’s one wardrobe item that literally goes with everything, it’s a chambray shirt. It’s the perfect layer piece over t-shirts, tank tops and even dresses. Moms and their mini-mes will live in it all year round. 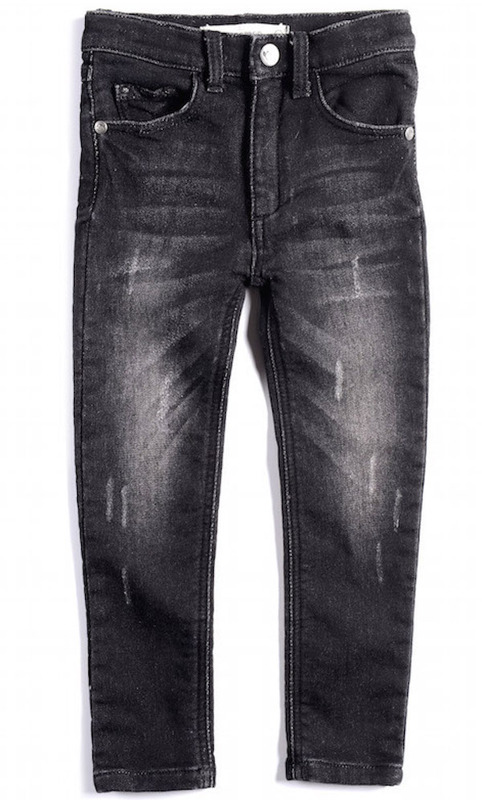 As an all-around live-in-them pair of jeans, the skinny denim jegging is a fashion favorite. Ours are a classic 5-pocket style constructed from super-soft and comfy French terry and with a cool distressed look. Fashion trends may come and go, but you’ll never tire of a classic motorcycle jacket. Invest in one that will last for more than one season and wear it in the fall and spring. 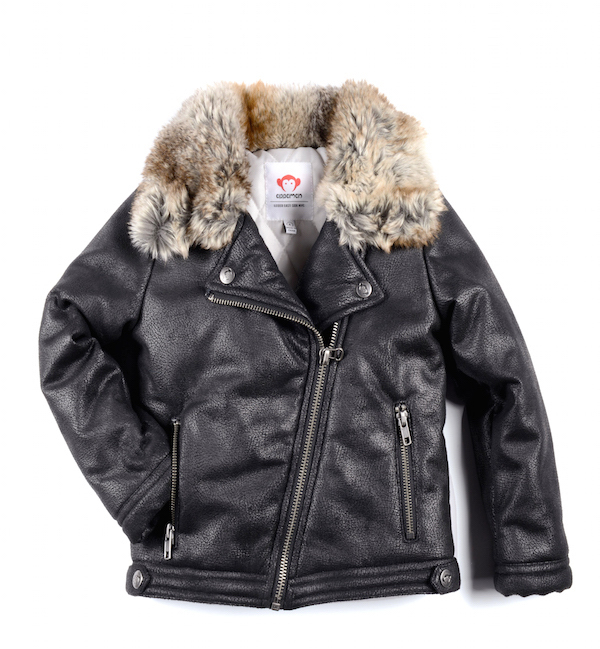 We love the faux fur collar and classic styling of the Appaman Moto Jacket. Boho chic is one trend that always looks cool. A pair of slouchy pants in a bohemian-inspired print will take her far this season. We call it off-duty glam, she’ll call them the comfiest pants ever.